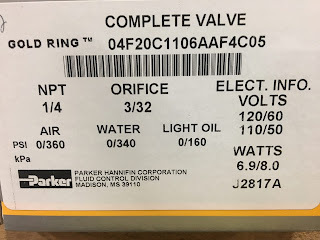 Flow Factor Special for Parker Gold Ring 04F20C1106AAF4C05. We have an overstock in these valves. Valve is a 2-Way 1/4 inch ported valve. Pressure rating is 0-340 for water, 0-360 for Air and 0-160 for oil. NEMA 4 120/60 coil assembled to valve. 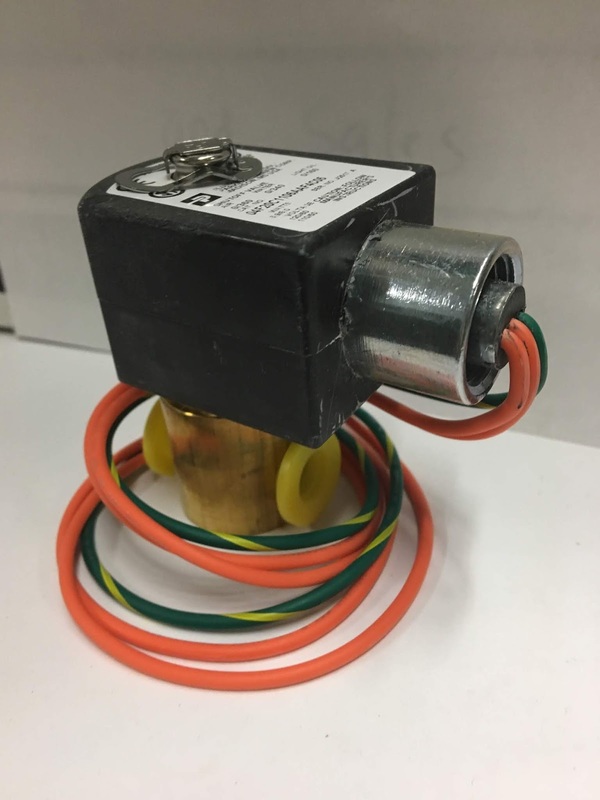 An example of a solenoid valve developed for use in challenging applications where aggressive chemicals or fluids are present is the Parker 221G series stainless steel solenoid valve. The use of high-grade 316L stainless steel as the valve body material is significant as in harsh environments it gives increased system reliability and, in turn, improved operational performance and productivity. In fact, it has shown to deliver 30% more life on average (depending on the application) versus some other technologies.